Superstorm Sandy -- one of the most devastating storms in U.S. history to hit the East Coast -- affected the region's animals just as much as their human counterparts. Thankfully, we know that many shelters and humane societies, as well as the ASPCA and other national and regional animal welfare groups, are helping to assist pets and their guardians affected by the storm by providing temporary shelter, food, supplies and other means of support. The Huffington Post reports that rescue workers and first responders have saved the lives of many animals impacted by the storm, stranded in homes or unable to escape heavily flooded areas. See a slideshow of some of these heartwarming rescues on HuffPo's website. At this point it's not clear just how many animals have been affected by Sandy. In such a heavily populated area there could be hundreds of animals still in need of rescue, shelter and other basic necessities. 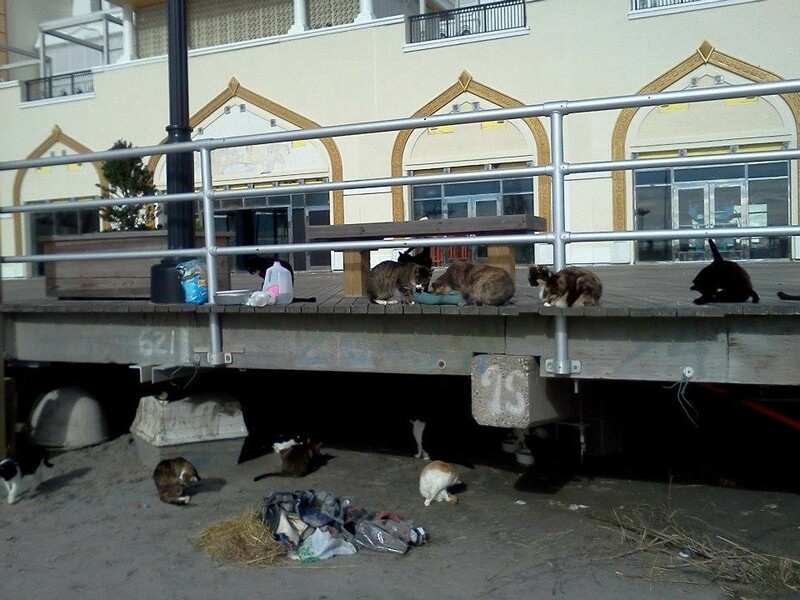 Some good news is that Atlantic City, New Jersey's famous boardwalk cats seem to be faring well after the raging storm. 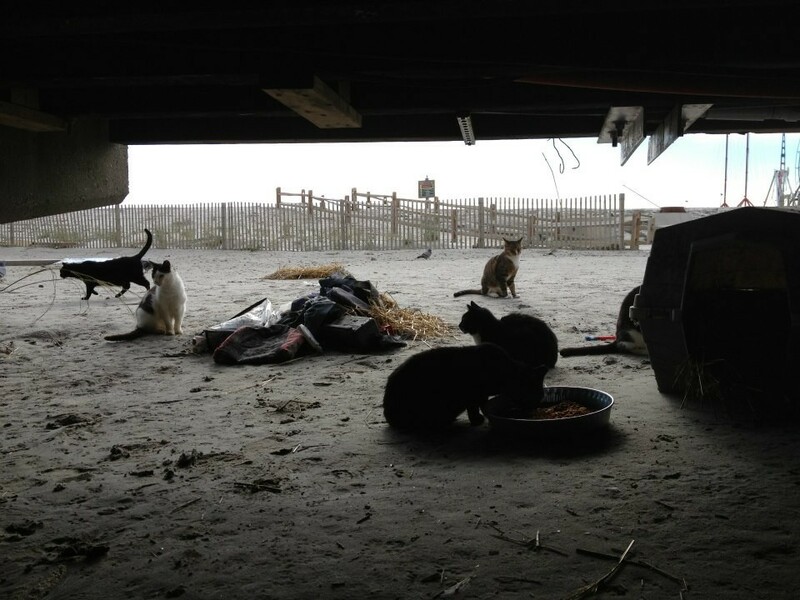 While they probably highly disliked being soaked to the skin, Best Friends Animal Society and national feral cat advocate group Alley Cat Allies report that more than half of the boardwalk cats have been accounted for and are doing okay, even though the storm entirely destroyed their shelters and home. 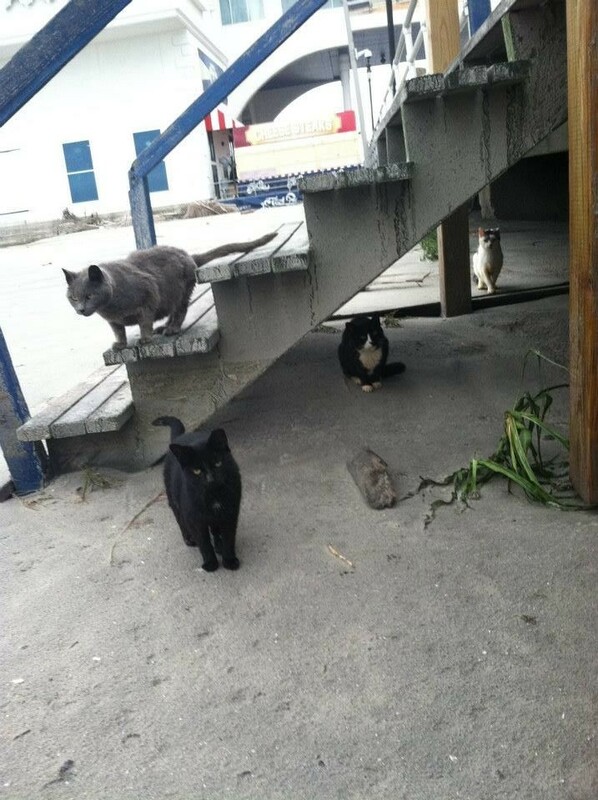 In times of a natural disaster like Sandy, feral cats often won't return to their home territory for several days or longer, ACA says, but these little kitties are showing they're resilient, just like the rest of the East Coast residents still coping with the vast devastation and loss. 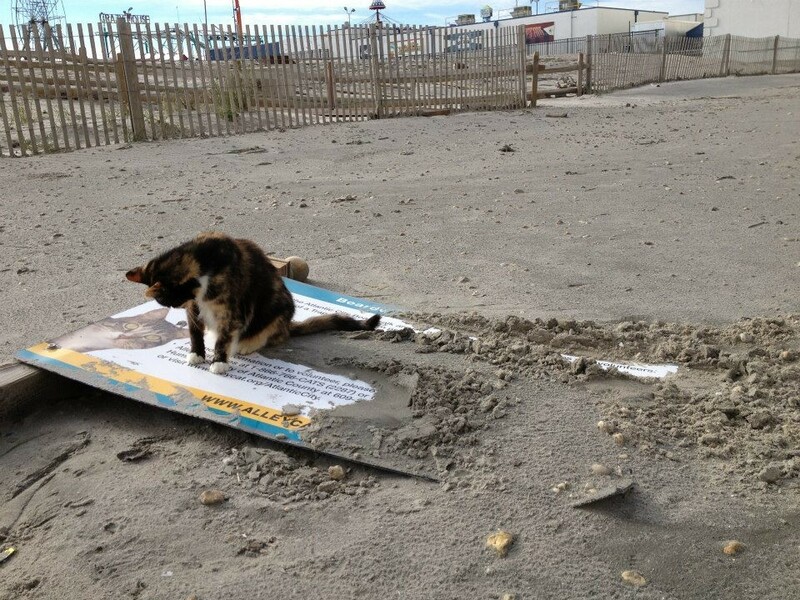 The Atlantic City boardwalk cats are colonies of feral cats that were trapped in humane, live traps; spayed/neutered and vaccinated; and then were released back into their outdoor homes as part of a city-supported Trap-Neuter-Return project there organized by Alley Cat Allies. The colony is cared for by the organization's staff and by many locals. The cats live in harmony with their environment and they're actually quite famous among cat people and the locals. 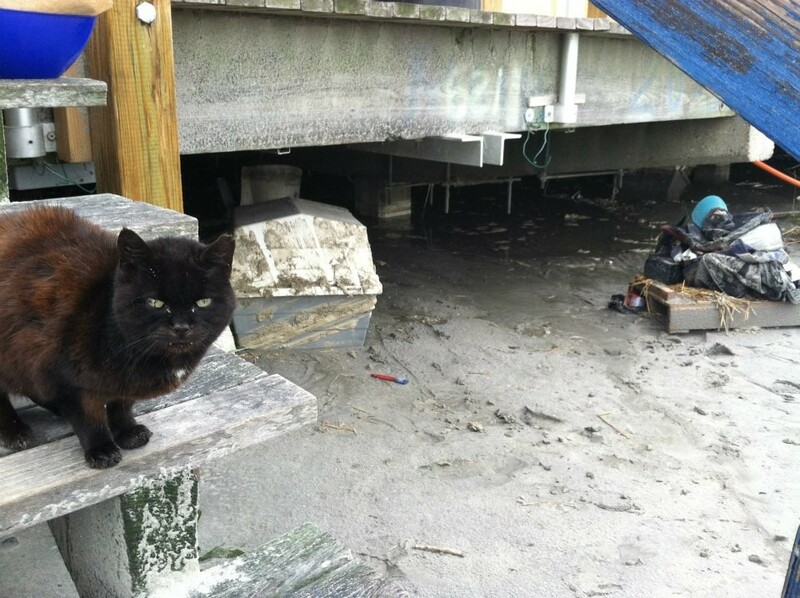 Here are some images from Alley Cat Allies' Facebook page posted earlier today showing the effects of the storm on the cats' boardwalk home and caretakers' cleanup efforts. 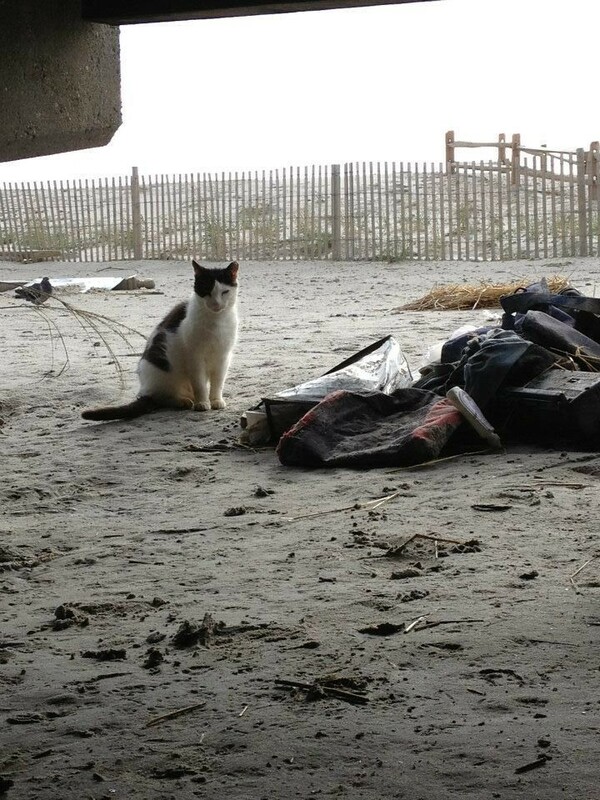 While work to reestablish the Atlantic City cats is already underway, there are still lots of other animals throughout the region who have yet to be reunited with their owners, are still stranded, or are in a shelter that was hit hard by the storm. If you're interested in helping out, Petfinder.com is continually updating a page on its site listing how to help the shelters and rescue groups directly affected by the storm. The page includes continually updated information on East Coast shelters needing donations of money, supplies, or volunteer help, as well as links to pet-friendly evacuation shelters -- for those of you with friends or family in the Northeast and Mid-Atlantic, this could be helpful to note since many people are still without power, Internet connections or remaining battery life in their cell phones. This story recently published on HuffPo also lists links to information for pet owners in the region who need help locating a pet that was left behind, as well as ways those of us not affected by Sandy can help.